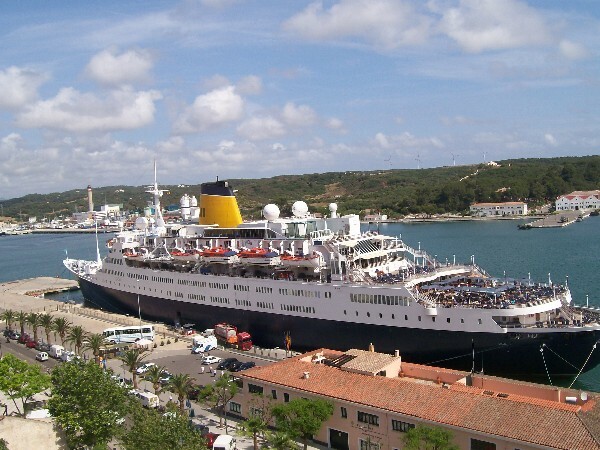 We were supposed to go on the second cruise of the "new" Saga ship, the Saga Sapphire, but, because of engine trouble, it was, firstly, postponed and then cancelled. Being offered a 50% discount on any other cruise in 2012 we took a 26 day cruise, with sister Ann and her husband Michael, around the Med (again!) although there were some new destinations. We called at El Ferrol, Cartagena, Palma (Majorca), Valetta (Malta), Piraeus, Patmos, Kusadasi (Turkey), Marmaris (Turkey), Heraklion (Crete), Civitavecchia, Olbia (Sardinia), Mahon (Minorca), Gibraltar, Lisbon. Although there were a few health problems between us we had a pretty good time and fantastic weather (unlike at home in May / June!). There's no doubt that Saga are cutting back on some things and this was most notable, to me, in the entertainment - disappointing (I must also say that the food in the Dining Room was, on this cruise, better than any other - in my opinion! ).